Seyed Razzaghi, M., Safarkhanlou, M. (2014). Probabilistic Evaluation of Seismic Performance of RC Bridges in Iran. Journal of Structural Engineering and Geo-Techniques, 4(1), 9-18. Mehran Seyed Razzaghi; M. Safarkhanlou. "Probabilistic Evaluation of Seismic Performance of RC Bridges in Iran". 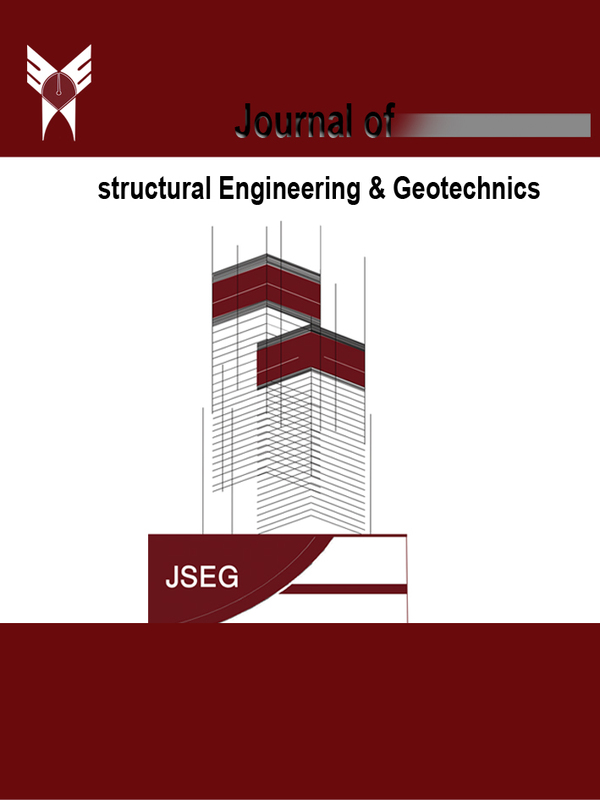 Journal of Structural Engineering and Geo-Techniques, 4, 1, 2014, 9-18. Seyed Razzaghi, M., Safarkhanlou, M. (2014). 'Probabilistic Evaluation of Seismic Performance of RC Bridges in Iran', Journal of Structural Engineering and Geo-Techniques, 4(1), pp. 9-18. Seyed Razzaghi, M., Safarkhanlou, M. Probabilistic Evaluation of Seismic Performance of RC Bridges in Iran. Journal of Structural Engineering and Geo-Techniques, 2014; 4(1): 9-18. Many existing bridges were designed without adequate consideration of seismic risk. The full or partial collapse of even one major bridge in a city or community would have destroying results. There has been focuses on developing fragility-based seismic vulnerability of existing usual bridges in Iran or support decision making on seismic upgrade. This article focuses on developing performance based seismic fragility curves for typical RC bridges in Iran. Ground motions compatible with the seismic hazard were used as input excitations for bridge vulnerability assessment. The fragility curves thus developed will quantify the vulnerability of existing RC bridges and help in proper decision making to increase the safety for humans and the serviceability of essential facilities. Results obtained from this study show that the properties of materials have a significant effect on the damage probability of the bridges. The findings can serve as a guide to declare the impact of seismic vulnerability on the bridges.